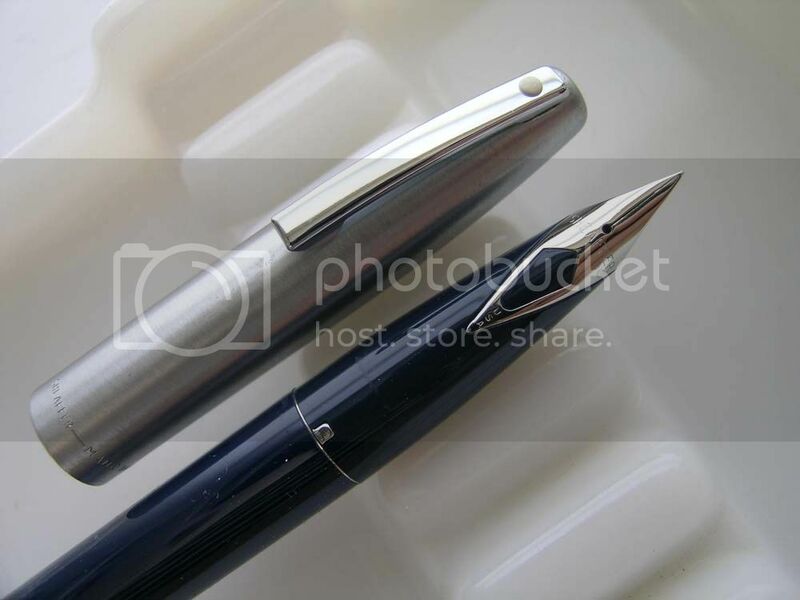 Brushed stainless steel cap, stainless steel inlaid nib. Cartridge filler, with an included convertor. This version of the 440 has a short diamond inlaid nib. Model 440 -- this is one of the "quasi-Imperials" like the model 330, which mirror the style of the more expensive Imperials of the era. Cartridge filler, with an included convertor which allows you to fill it from the bottle. The body comes in a few different colors (make your selection form the pulldown menu). The cap is brushed stainless steel. BRAND NEW OLD STOCK FROM THE 1970s! 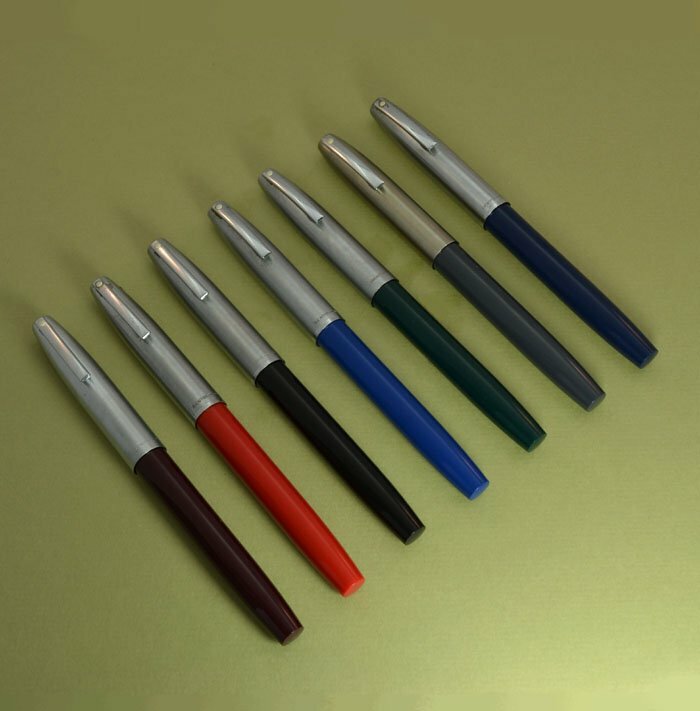 This pen is new old stock from the 1970s. It has never been used and the pen has never been inked. It is absolutely perfect with no dents, dings or even micro scratches! The original sticker is still on the cap, though on some pens it is dark and hard to read. 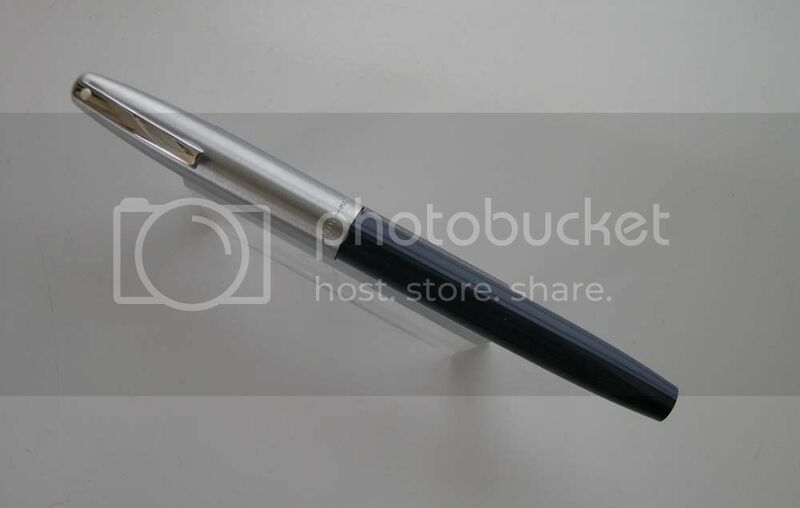 Not returnable for full refund if the pen has been filled with ink, unless it is defective. 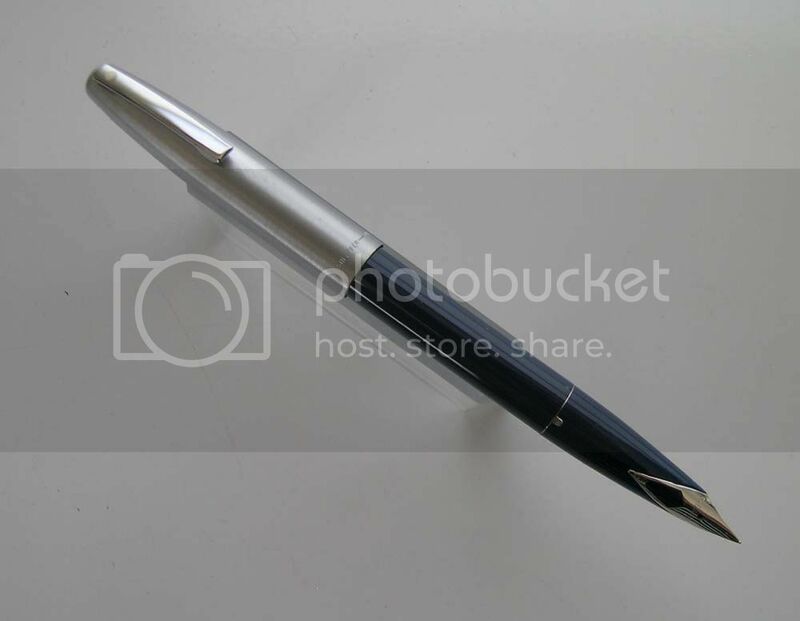 Please note that we have this pen as a "second" with some cosmetic imperfections .. see this listing.